Valuations of private companies are typically based on a multiple of adjusted operating profit. So what are the adjustments a business broker usually makes to arrive at this figure? When you appoint a business broker to sell your company one of the first things they will do is adjust the presentation of your company’s accounts to show the best version of financial performance. Accounting reports are rarely black and white and have often been presented in a way that minimises tax rather than maximises profits. They may also contain one-off costs and revenue streams that are not part of the underlying year to year performance of the business to be sold. So what are the main areas your broker will look at to present your accounts in the best light, and improve your chances of selling at a higher price? Owners rarely pay themselves the same salaries as they would pay to an employee manager with similar responsibilities. Salaries, bonuses and pension contributions may all be higher or lower than market rate for the position. 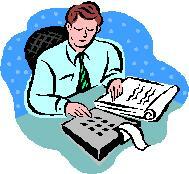 All these expenses may well have been adjusted at the end of the year by your accountant to minimise taxes. Above market salaries, bonuses, pensions and other benefits need to be added back to calculate underlying profit. On the other hand if you take all your remuneration through dividends an estimate of the cost of an employee manager will have to be deducted from profit. The owners of private companies often own the properties the business uses in their own name (or through a holding company or pension fund) and charge rent to the limited company. Rent is often arbitrarily set above or below the going market rent according to the company’s profitability and tax position. An adjustment to bring the rent to fair market value will need to be made. This is where the company buys products or services from another company owned by one of its own shareholders, or a family member. For tax or personal reasons prices may have been set at higher than market value. Profits will need to be restated with these supplies at fair market or arms-length value before the company is put up for sale. We regularly come across situations where a business owns assets that are not utilised in its main line of business. An example that comes to mind is a client that had purchased a residential property to house temporary employees during a long running engineering project. The project had finished years ago but the property was still on the books and rented out to long term tenants. The asset had to be removed from the balance sheet and the rent from the profit and loss account. Most businesses periodically incur large costs for one-time events. This might be setting up a new line of business or a new outlet. Alternatively it might be costs associated with updating IT or implementing a quality or regulatory compliance system. The associated “sunk” costs should be added back to underlying profit as they will not be incurred going forward. Every business occasionally experiences an expensive one-off event. This might be an unusually large bad debt, settlement of an employment dispute or a regulatory penalty. Another common exceptional cost is the portion of an insurance claim for a fire or accident that is not covered by the policy. These are not recurring costs of the business and should be added back to profit to support valuation. An example of this might be legal fee incurred in settling a legal dispute, or the costs of renewing a property lease. Just as the costs of any settlement would be added back to profit, so should the costs of associated advice. Private company owners have an incentive to write off the capital costs of installing new equipment or improving property in order to minimize taxes. This may reduce annual taxes, but it will also hurt the valuation of your business by reducing reported profits. Your accountant will encourage you to write down the value of stocks to reduce taxable profit. We often see situations where the value of stock has remained almost the same for several years although the company may have doubled or tripled in size. In effect the growth in stocks is being expensed in the year to minimize income for tax purposes. It is sensible to have a stock count just before the business is put on the market and to write stock up to its true value. The gain will immediately be added to profit. In most company’s accounts these cost codes are the dumping ground for expenses that do not fit into other categories. This often means they are unusual or one-off costs. Give these codes a careful review and add back to profit anything that is not likely to happen on an annual basis.